I sold 50/50 tickets to John Morris tonight at the World Junior Hockey Championships. Of Team Martin curling fame. Brier Champion. World Champion. 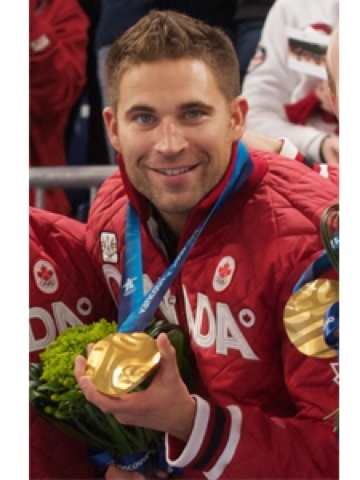 Olympic gold medalist John Morris. When I sold them to him he said "Thank you Carmen". To which I replied "You're welcome John". Stroked his ego a little. But HE SAID MY NAME! And I got to look into these eyes for a few seconds. Sigh. It is possible I would have.